When starting a new RP thread, make a thread here so players an post what characters will participate. Just like it says. For all the OOC things that have no RPGing content whatsoever. New members are welcome to post any question they have about our RPGs. This is a list of all the current Role Play Games in Progress. Part One of a MINIMUM three part Main Storyline. 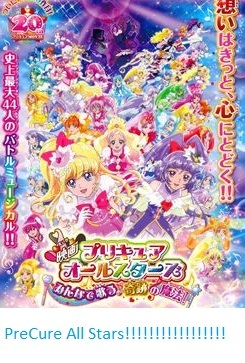 RP Continuation of Zodiac Precure: Origins! The world is ending. And it's time to fight back!